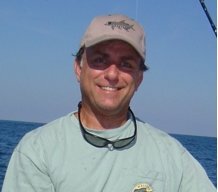 Discussion in 'Fishing Chatter = anything to do with fishing' started by AL KEARCE, Jan 2, 2019. Beautiful Red Al, what did you get him on? Like the light tackle for those big ones. Large shrimp. Just realized I should have posted this in “In shore” sorry guys. Wow! That is a nice Red for sure. Did you get a weight or length on it? Even more fun on light tackle. Wow what beautiful Red, on 10lb mono a seriously tremendous feat. Where you freelining or using some weight. East end of the canal is a great spot, caught my personal best 50incher there last July! Rubin S and Karl B like this. That baby looks to be at least 40in plus! Geez, lucky you didn’t tip your yak over pulling him in with you. Huge fish! Especially fun/tough in a kayak I’ll bet. 1 small split shot. Yes he was over 40 in. I should have measured him. Took me 45 min to land him. Nice battle with that honker! Makes it fun on the light tackle with more fighting time. Congrats on the PB. Great catch Al, thanks for posting. Now that is a good memory for your collection. Nice catch!! Catching a PB red makes the trip fantastic. That's a nice bull there! What a nice red on light tackle. Sounds like a good trip. Great catch! Impressive on 10lb mono. Nice work! No Yak involved. I was in my bay boat. Thanks for all the kind words folks.